Ralph Lauren is known for his impeccable style that personifies preppy American sportswear. He is a multi-billionaire titan of both the apparel and fashion industries who has changed the landscape of American culture. But even though today he personifies the upper class preppy mystique, that's not how Ralph Lauren's life started out. His rags to riches tale is a fascinating example of someone with a lot of talent who worked very hard to build his dream from nothing. 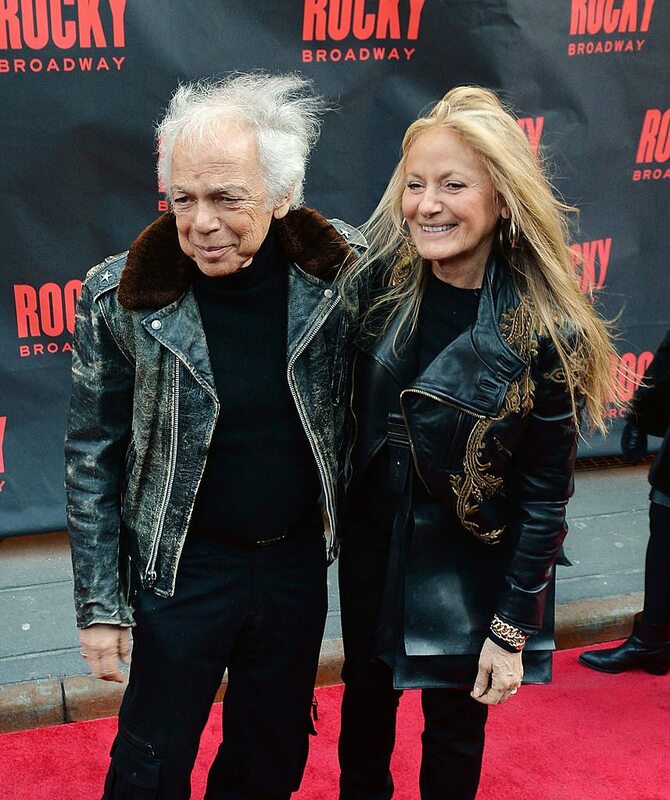 And thanks to this time-tested formula, Ralph Lauren ending up with a $7.5 billion fortune. 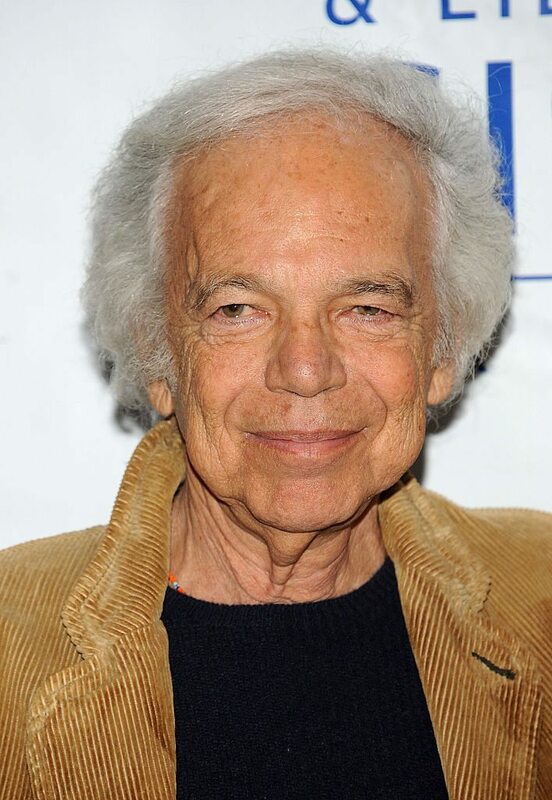 Ralph Lauren was born "Ralph Lifshitz" on October 14, 1939 in New York City. His parents were immigrants from Belarus and Ashkenazi Jews. When Ralph was 16-years old, he and his brother Jerry changed their last name to Lauren after getting teased over "Lifshitz" for years. Their brother Lenny chose to keep the family name alive. Ralph studied business for two years at Baruch College, but dropped out before he got his degree. After a two year tour of duty in the Army, Lauren took a job as a sales assistant at Brooks Brothers. In 1964, he married Ricky Anne Low-Beer, successfully concealing the fact that Ricky was only half Jewish from his parents until after the wedding. The couple met six months earlier in an eye doctor's office where Ricky was the receptionist. The Laurens have been married for nearly 40 years and have three children, Andrew, David, and Dylan. Lauren didn't spend long at Brooks Brothers. He soon left to become a salesman for a tie company. At some point at this new job, Ralph began designing ties of his own. In 1966, the 26 year old Lauren designed a wide necktie. He had seen Douglas Fairbanks, Jr. wearing this European style of tie and was struck by its style. The company he worked for rejected his designs, believing they'd never sell. Well, take a look back through any family photos from the late 60s and the entire 1970s and you'll see that Ralph was right and his employers were way way off the mark when it came to wide neckties. Lauren soon quit and started his own company which specialized in taking rags and turning them into neckties. So this is LITERALLY a rags to riches story. He sold these ties to small mom and pop style stores one by one, all across New York City. Eventually, Neiman Marcus approached him and ordered 100 dozen. An empire was born. A year later, in 1967, with financial backing from a clothing manufacturer in Manhattan named Norman Hilton, Lauren opened his first dedicated store where he sold all sorts of ties alongside his own designs under the now famous "Polo" label. By 1970 Ralph had branched into designing all kinds of menswear. Within a year he won the prestigious COTY American Fashion Critics Award (Sort of like the Golden Globes for designers) for his menswear line. In 1971, Lauren opened his Polo necktie store on Beverly Hills' Rodeo Drive. He also expanded his line into women's suits, tailored in the classic men's style. This was the first time the iconic Polo emblem was seen. It was located on the cuff of the women's suits. Lauren's designs have always evoked a tasteful, put-together simplicity, but in many ways he's a trendsetter as well. From the wide ties in the 60s that would become so popular to the men's style women's suits of the 70s that would be a style staple for businesswomen throughout the 80s, Lauren has always been a tastemaker and an icon of American fashion. As I write this piece, I'm wearing a turquoise Polo that I might have had since high school. These shirts first hit the market in 1972 as the famous short sleeved pink pique shirt with the Polo logo over the heart as part of Lauren's first collection for women. Most of us have owned at least one in our lifetime. The first release of the now classic Polo came in 24 colors. Lauren also provided costumes for the 1974 film The Great Gatsby and for Diane Keaton's Academy Award winning role in the 1977 film Annie Hall. Annie Hall the character set the tone for women's style for the next several years. In fact, her classic wide legged pants are a wardrobe staple and classic style that makes any woman look instantly put together whether she pairs them with a white button down or a sequin tank top. Thanks, Ralph Lauren, you simplified getting dressed for many of us while also still allowing us to look fabulous. These stints in movie costuming earned him recognition as well as put his designs in front of millions of eyes. By the 80s Ralph Lauren was hot on the fashion scene. And, his style was relatively affordable, making him able to saturate the American sportswear market thoroughly. Trust me when I say you were nobody if you didn't have a shirt or seven with that little polo player on it. In 1984, Lauren turned the Rhinelander Mansion in Manhattan, former home of the photographer Edgar de Evia, into the flagship store for Polo Ralph Lauren. Not coincidentally, that same year de Evia photographed the cover story on Lauren's home in Round Hill, Jamaica for House & Garden Magazine. That home formerly belonged to Babe and Bill Paley. From the mid-80s to the present, the Lauren lines have been staples for fashionable people. Classic preppy American style never goes out of style. Lauren has always been committed to providing comfortable, well put together looks to his customers. In 1997, Ralph Lauren Corporation became a public company, making Lauren an even wealthier man. Polo trades under the symbol, RL. As of March 2013, Lauren has 388 stores worldwide, 494 shops within a store and seven e-commerce websites. 20 new stores opened in the fiscal year 2013, while 10 closed their doors. Lauren also owns Club Monaco and as of 2013, has opened 59 new stores. Business is booming, even in a lackluster economy, likely due to fair pricing, loyal customers, and classic styles across all Lauren lines, labels, and brands. In 2010, Ralph Lauren was declared a Chevalier de la Legion d'honneur by French President Nicolas Sarkozy. The National Order of the Legion of Honor is a French order established by Napoleon Bonaparte in 1802. The Order is the highest decoration in France and is divided into five degrees. The Chevalier that Lauren was awarded is the highest honor. As a hobby, Ralph Lauren collects cars, many of them very rare. He has over 70 automobiles in his collection that reside at his estate in New York. Ferraris, Mc Larens—including an extremely rare F1 LM, a 1929 Blower Bentley, a Bugatti, Porsches, Mercedes Benzes—including the "Black Prince," a 1930 Count Trossi SSK, Alfa Romeos, and Lamborghinis, to name a few. His car collection won "best in show" at the Pebble Beach Concours d'Elegance many times. Lauren's car collection is so impressive it was displayed at Boston's Museum of Fine Arts and 17 of them were shipped to Paris for an exhibit at the Musee des Arts Decoratifs. Lauren and his wife Ricky reside at multiple homes and estates, all elegantly and fashionably appointed. The Laurens have, as previously mentioned, three kids. Andrew, born in 1969, is a film producer and actor. David, born in 1971, is Senior Vice President, Advertising, Marketing and Corporate Communications at Polo Ralph Lauren. He is married to former President George W. Bush's niece Lauren Bush. Dylan, born in 1974, is the owner of Dylan's Candy Bar. Unlike other billionaires who dabbled in other industries and jobs before finding their niche, Lauren knew he was all about fashion and design from the very start. He built his $7.5 billion fortune on classic styles, comfortable clothes, and providing a wardrobe that is always in style.